Nancy Agabian is a writer, teacher, and literary organizer. She has written extensively about Armenian and LGBT issues, including the books Princess Freak, a collection of poems and performance texts dealing with sexuality and rage, and Me as her again, a memoir that casts her bisexual coming-of age within her Armenian-American family history. 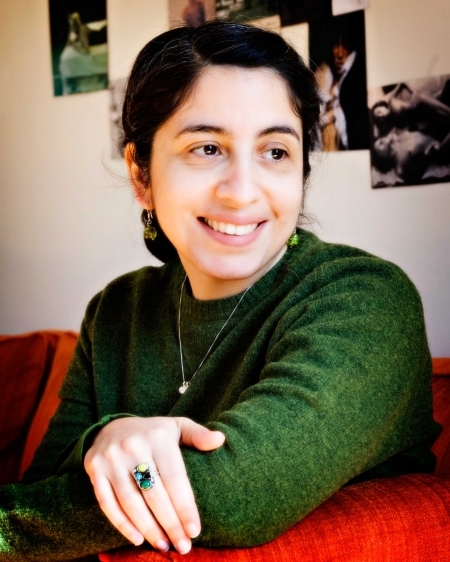 A Fulbright scholar in 2006, she is currently working on a nonfiction novel about her experiences exploring the complex contradictions that exist between political ideals and personal liberation in the fight for social justice in Armenia. As a community writing workshop leader, she has worked with multicultural performance artists in Los Angeles, women writers in Armenia, and immigrant writers in Queens. She is currently leading “Heightening Stories,” a workshop for writers whose stories are personally brave and socially conscious, from her living room in Jackson Heights, Queens.